Take the driver or not to take the driver. If you know you can carry the fairway bunkers and can control your driver then go for it. 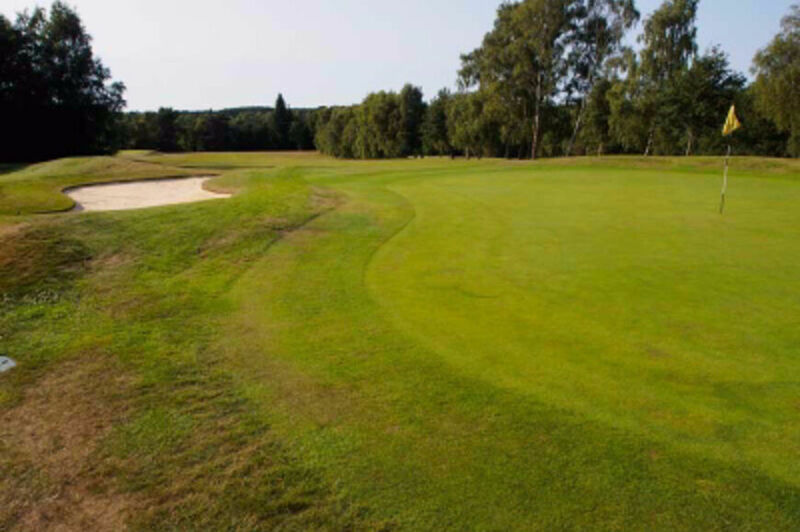 The bunkers are approximately a 200 yard carry so perhaps the more sensible option is to lay up short of them and play into the green from there. Playing into the green all of the trouble is at the front or the side so make sure you take enough club.